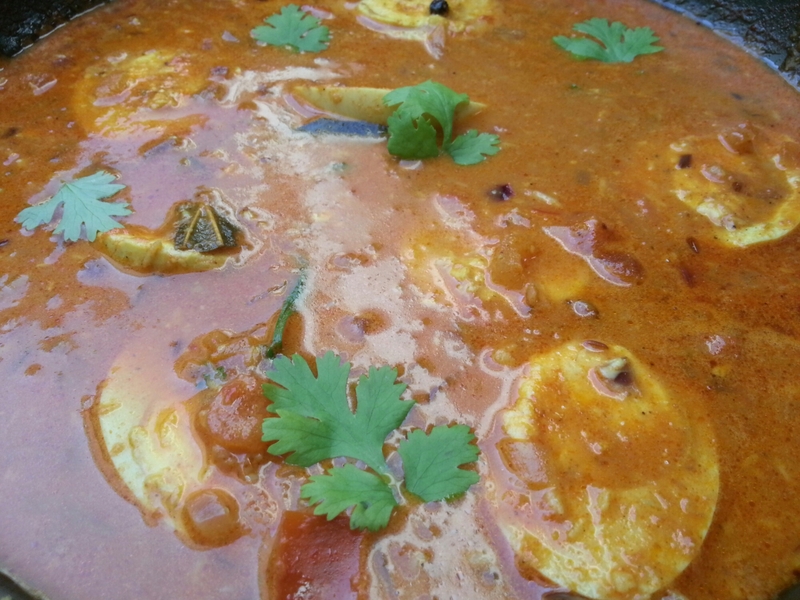 Egg curry – Eat, Click, Travel and Repeat! 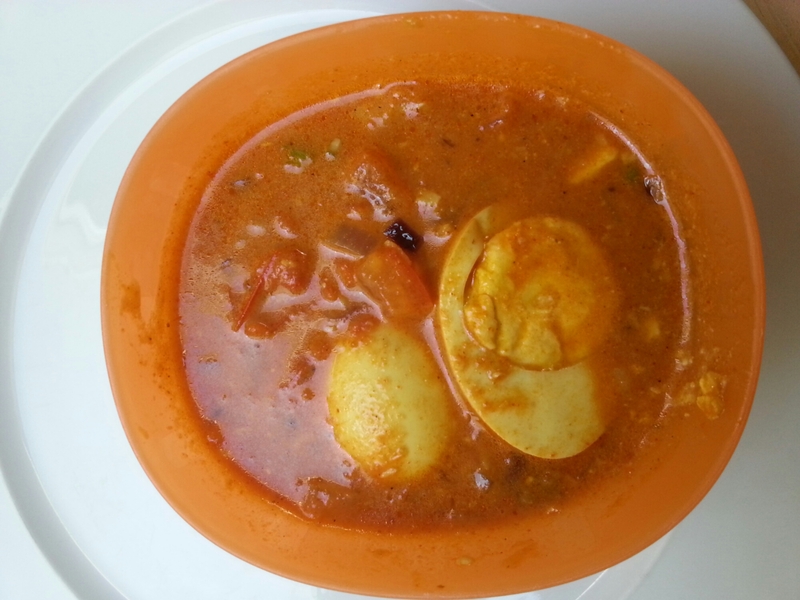 Egg curry is ideal for a typical Sunday lunch. 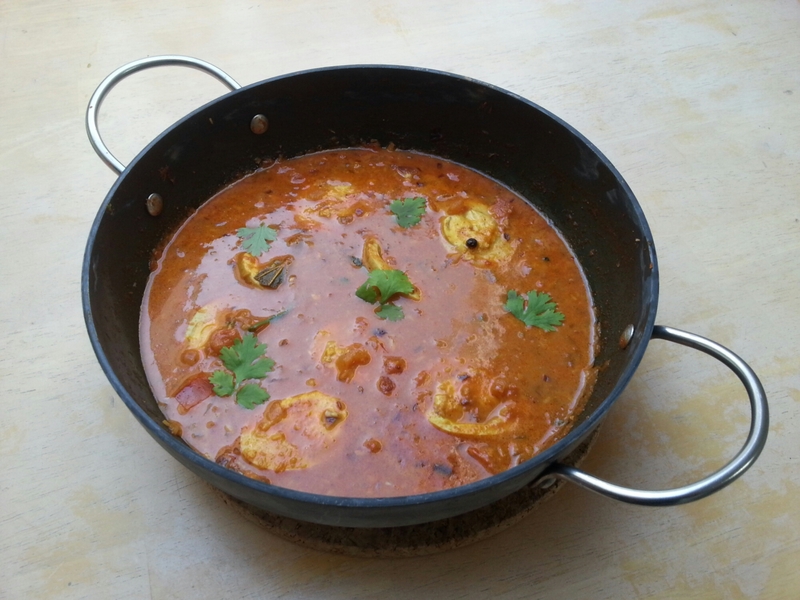 It’s extremely tasty and healthy gravy which can be eaten with roti or naan. There are various recipes for the same online. I have decided to make it the following way after reading few recipes online and trying to remember how my mother use to make it. We ate it with wheat tortillas and tasted just fine. We usually use these tortillas as Roti. We just heat tortillas in a pan till they get brown and fluff up like rotis or chappati back home. Boil eggs till they are hard boiled. In a pan take 1 tbsp oil, add cumin seeds and all the dry spices. Roast them for few minutes. Add onions, garlic, ginger, green chili. Fry them for few minutes till onions become golden brown, if it is a puree wait till mixture leaves oil. Now add tomato puree, cut tomato, red chili powder, coriander and cumin powder in the fried mixture. Now add milk and water to form the basis of gravy. Heat the mixture for few more minutes. Add Kitchen King and Shahi Paneer masala to the gravy. I have used commercially available masala powders along with dry spices. It just elevates the taste. Peel the boiled eggs. Cut the eggs in half. Add these eggs, grated coconut and salt to the gravy. Cover the pan and let the gravy boil for five minutes. Garnish the gravy with coriander leaves.